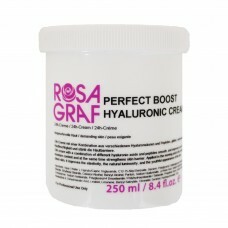 The exclusive PERFECT BOOST HYALURONIC CREAM is the beauty product alternative to COSMETIC SURGERY! 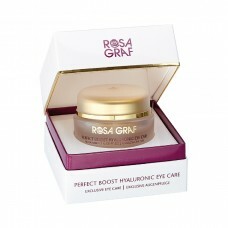 Introducing a new era of active anti-aging care from the skincare innovators at Rosa Graf! 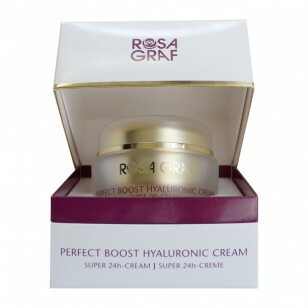 The exclusive combination of three molecular sizes of Hyaluronic Acid in synergy with skin-smoothing peptides, makes the new Perfect Boost Hyaluronic Cream highly effective 24h care. Until now, the use of cross-linked Hyaluronic Acid has only been reserved for dermatological procedures. 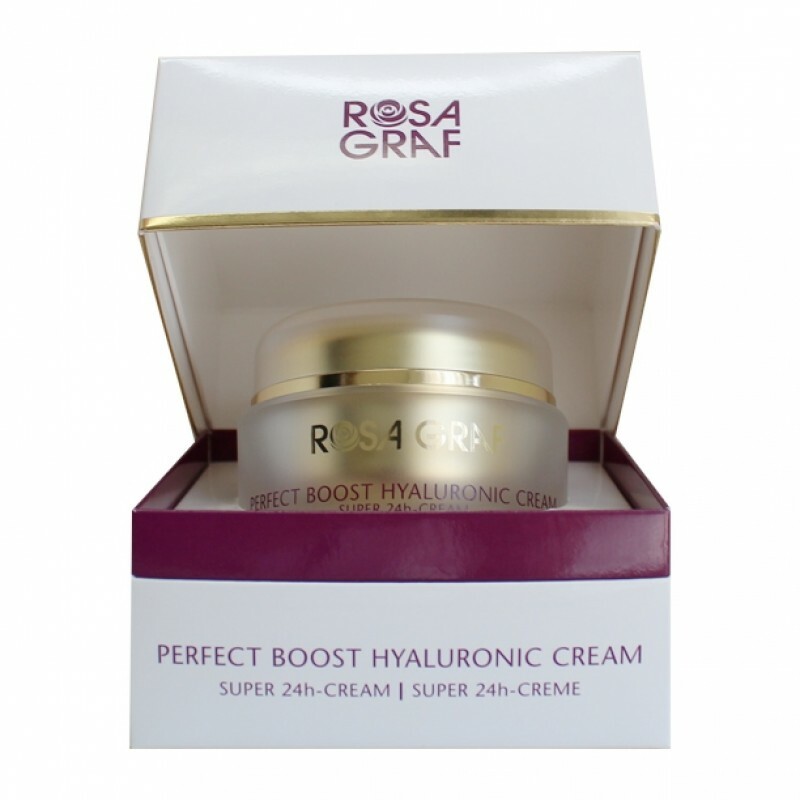 The revolutionary properties of this acid, however, do not change when applied topically on the skin leading Rosa Graf to develop the new anti-aging 24h care with skin-smoothing Hyaluronic Acid complex. Instantly replenishes skin to make it appear more supple, smooth and plump with a healthy-looking glow.